Printing has become a paradoxical technology. On the one hand, it has never been so easy not to print: most paper documents in everyday life, at school and in the office can be used directly from a computer screen, smartphone, tablet or e-book. On the other hand, it’s not going to die at all: for the time being, almost all companies and organizations are typing something every day – and although the volume of paper documents is decreasing every year, experts say that it will take another quarter of a century for the office to become completely paperless. Until then, contracts, e-mails, various daily documents will be printed on paper. So it’s time to learn how to print. Ten years ago there was no problem: everything was printed from a computer. But since then something has changed in principle. There have become more smartphones and tablets than personal computers. So, a significant part of the workflow now passes through mobile devices. Therefore, why not print immediately from them? And is this possible, you ask? Yes. However, the task is still non-standard and it is useful to know the details, so as to confidently use the available functions. 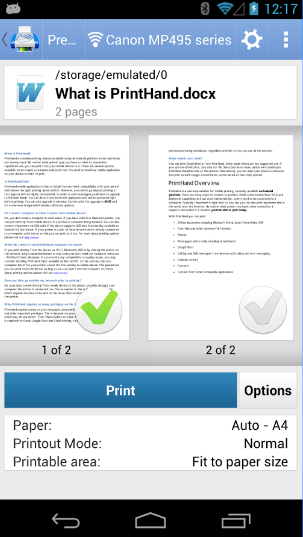 Therefore, here are the five most modern ways to print documents from Android device– sorted in ascending order of complexity. You can also apply them in the same way: go to the next only if the previous one did not work! This method allows you to get an electronic document (in PDF format) instead of a paper copy, which will look the same on all devices and operating systems. Perhaps, it is even better than a paper version, because such a document can be sent over the network, and already printed on the spot. However, the printer is not needed here: during the selection just specify the option Save as PDF. Many modern printers with WLAN modules support the function of printing by e-mail. In this case, the company service allocates a unique mailing address to the device. Documents and photos sent to this address in the attachment to the letter will be automatically processed and transferred to the printer. This feature, for example, allows you to print vacation photos on your home printer right from the hotel. Setting up print services by e-mail is usually done through proprietary software, the device control panel or on the printer manufacturer’s website. Using Bluetooth is the fastest and easiest way to connect the printer to an Android device, provided that both devices support these technologies. The advantage of this method of printing is that it does not require an Internet and an “intermediary” in the form of a PC or laptop. As for USB, the situation here is somewhat more complicated, since a smartphone or tablet should have USB Host support (Android 4.0+), which allows connecting peripheral devices. If your printer supports working in a Wi-Fi network and configured to work on your home network, then you can be congratulated – you have an excellent chance of direct printing from your Android phone (provided that you are at home near such a printer, of course). But everything depends on the availability of appropriate software for a specific model of the printer used. For example, if you own a Brother printer connected to a Wi-Fi network, you can type “brother” in the Play Store market. As a result, you will find two fully functional, but very different applications for installation on a mobile device. Similarly, for your printer model, you will find other compatible applications. In this case, the printer must be connected to the same wireless network as the smartphone/tablet. But printing can be made only from this app, that means that the assortment of documents that can be printed in this way is limited to only a few popular formats. But such applications often allow you to use the printer’s functionality for one hundred percent: for example, they know how to check the ink level or scan, if the printer is combined with the scanner. If you are not so lucky and you are deprived of a printer with a Wi-Fi interface, you are recommended to try working with the cloud service Google Cloud Print. Google has developed a special method for sending print jobs over the Internet. 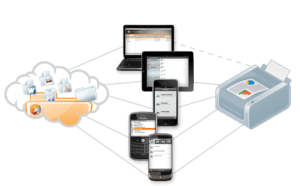 The natural development of cloud storage services has led to the emergence of cloud printing. Almost all well-known printer manufacturers claim to support this functionality, putting the Cloud Print Ready stamp on their new models. Such printers can print without the participation of a PC – all you need is an Internet connection and registration on one of the cloud printing services. This, for example, is Google Cloud Print, which, like a network printer on a local network, allows you to access it from any device and anywhere that has the Internet. There is no need to think about drivers: you just need to specify a smartphone, which printer to use, and you can print. But first make sure that the printer has an appropriate logo (indicating the support of the technology you need) and the printer is connected to the same Wi-Fi network as the smartphone or tablet from which you are going to print. Your further actions depend on what kind of mobile device you have. 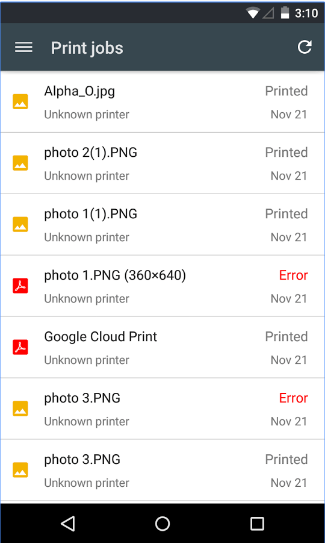 On Android open Settings -> System -> Print -> Cloud Print. There, go to Settings -> Add a printer, where your printing device should appear. If there is more than one printer in your network, select the one you need. By the way, if the printer is only one, possible, there is nothing to configure and it will connect itself. But on the old Android versions there is no built-in support for Google Cloud Print, so in this case, you will have to install the official application from Google. Next, just open the application, the document from which you want to see on paper, tap the Print button, set the desired size and other parameters, and – print! Everything is like on a computer, with the only difference is that not all mobile applications are able to print yet. Office documents, web pages, photos can be printed, but, for example, correspondence from social networks – is problematic. However, the absence of the Cloud Print Ready logo does not mean that you can not use the cloud print. Owners of regular models can also add them to the Google Cloud Print service. However, in this case, the use of a computer as a connecting link is indispensable. This procedure may seem somewhat strange, but, nevertheless, uncomplicated. To do this, you must have a Google account and a Chrome browser installed on your PC. You can add a printer in additional browser settings. After that, you can set up the printer itself, see the jobs sent to print, or give access to it to other users. As Google tells us, files are sent to print using a secure protocol and are deleted from the server when it is complete. All the main work is done directly on the mobile device using third-party applications. This application is the official Google client for the cloud printing service. The program allows you to send files to print, as well as view the status of the printer and manage jobs. To use the application, you must log in to your Google account with a pre-connected peripheral device. The utility has support for several accounts, each of which can be assigned to a specific printer. – From any application through the function Send select Virtual printer. Depending on the printer and the driver installed on it, the user can choose from a variety of print settings: page orientation, paper size, two-sided printing and color printing. Other, no less important parameters, for example, preview, select a specific page, the number of copies and print quality in the application are not available. And if it’s more or less acceptable while working with documents, then with a printing of photos – it’s no good. 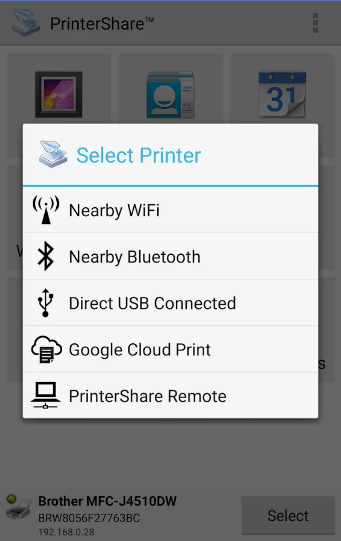 Users of devices on Android 4.4 already have a preinstalled Google virtual printer as a plug-in, on earlier versions of the OS – as a separate application. The order of the settings depends on the printer manufacturer. If the printer is directly connected to the Internet and supports cloud printing, then it needs to be connected to the Virtual Printer service account. But if the printer doesn’t support cloud printing itself, it should be connected to the Virtual Printer via Google Chrome. It was the first application for cloud printing with support for Google Cloud Print and recommended by Google. The principle of the program does not differ from the Cloud Printer. Here you also need to connect a Google account, select a printer type and, if there are more than one, specify the one by the default. Unlike the official client, there are much more sources for printing in Cloud Print. For example, you can print not only local files on the device but also SMS, contacts, scanned documents, web pages, events in the Google calendar, photos from Facebook and files from Google cloud storage, Dropbox, and OneDrive. In addition, it is possible to create a note or drawing and print it immediately. Cloud Print integrates into the menu system Send. This allows you to run documents to print from other applications. Despite the more advanced functionality, the necessary print settings can be not available in the program. In addition, in the free version, here is a restriction on some functions related to Facebook and Dropbox. This is the most popular application on Google Play market with serious functionality. In addition to cloud printing via Google Cloud Print, PrinterShare supports direct printing by Wi-Fi, Bluetooth and a USB printer without the involvement of a PC, and via an Internet printer connected to its own server. The program allows you to print almost all data locally on your mobile device: documents, images, SMS, contacts, calls, calendar events, as well as Gmail, Web pages, and files from Google Drive. PrinterShare has its own updated database of drivers. Even if your printer could not be found, you can specify the universal driver manually. As a result, it is possible to achieve printing even on an outdated printer model. A distinctive feature of the application is the ability to print via an Internet printer. To do this, you need to download the PC utility on printershare.com, register, add the printer installed on the desktop and open it to the printer. The program provides the ability to configure printing and has a preview, which is undoubtedly an advantage. 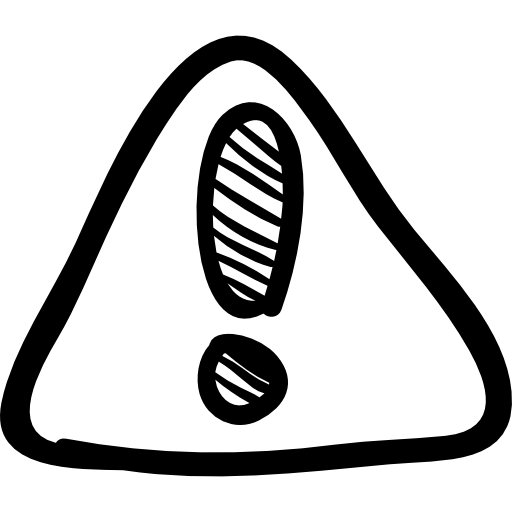 It’s worth noting that PrinterShare, although free, has a number of serious limitations. This concerns the impossibility of sending anything other than the test page directly to the printer, and only 20 pages can be printed through the remote printer. Only cloud printing through Google Cloud Print is available to the user to the fullest. Like PrinterShare, this program is a print manager for remote and local printers. By functionality, these two applications are almost completely identical, but PrintHand has a nice, thoughtful and friendly interface. The program can send to print all the same documents, photos, web pages, contacts, SMS and so on. To do this, it has a built-in file manager, browser and image viewer. 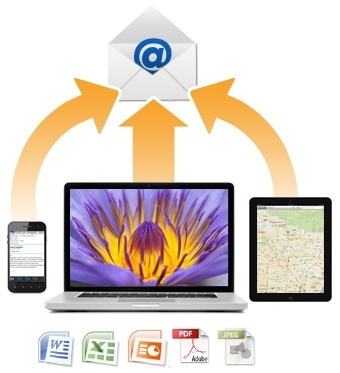 In addition to Gmail, you can print emails and attachments from other email accounts. There is support for additional cloud services – OneDrive, Dropbox, Box, as well as Facebook, Evernote, and SugarSync. A distinctive feature of PrintHand is the availability of a printer installation assistant, thanks to which it is easy to work with different types of printers and the types of their connection. The process of sending files to print is exactly the same as in PrinterShare. Unfortunately, all the problems with formatting typical for PrinterShare, are present here. However, in PrintHand the print quality at the output is slightly better. Also, the situation with printing photos is slightly better, thanks to the advanced settings. The application has a 5-day trial period. In general, PrintHand looks better than its predecessor, without advertising and is slightly cheaper. In addition to these programs, Google Play has other official clients and modules for printing from Canon, HP, Samsung, Epson and other manufacturers, which can be found easily. For the most part, they have basic functionality, but they are limited to supporting only their own printer models. Going back to the issue of the of printing from an Android-device or not and taking into account all the nuances, pros and cons, it can be said that it will not be possible to achieve full-scale printing of more complex documents or photographs with all the necessary settings. However, you can use a smartphone or tablet for these purposes, sometimes it is even necessary. All the applications examined were able to print documents and images of the most common formats: DOC, DOCX, XLS, XSLX, PPT, PPTX, PDF, TXT, JPG. In one way or another, each program has its drawbacks. The best quality print with the ability to save the original formatting and the correct support for all major formats offers a cloud printing service from Google. In this case, you can choose Cloud Print. If you need the maximum functionality and other methods of remote and direct printing to the printer, then the best way is to use the PrintHand application.